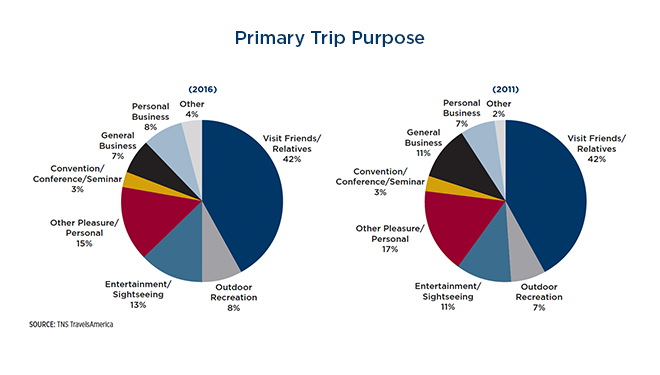 Domestic person-trips for both leisure and business purposes rose by 27.8 million, a 1.3 percent increase, totaling 2.2 billion person-trips in 2016. 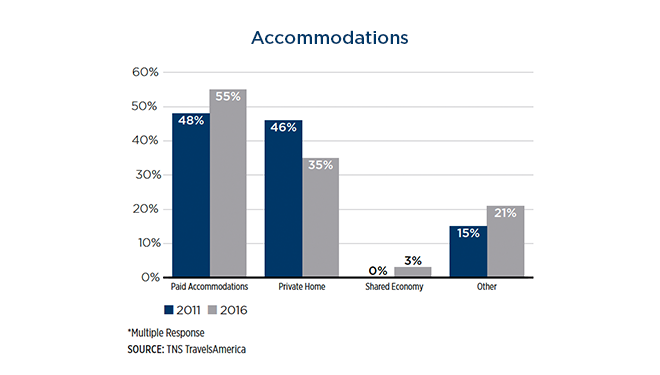 Domestic travel, specifically for leisure purposes, was the main driver of growth in overall travel to and within the U.S. in 2016. 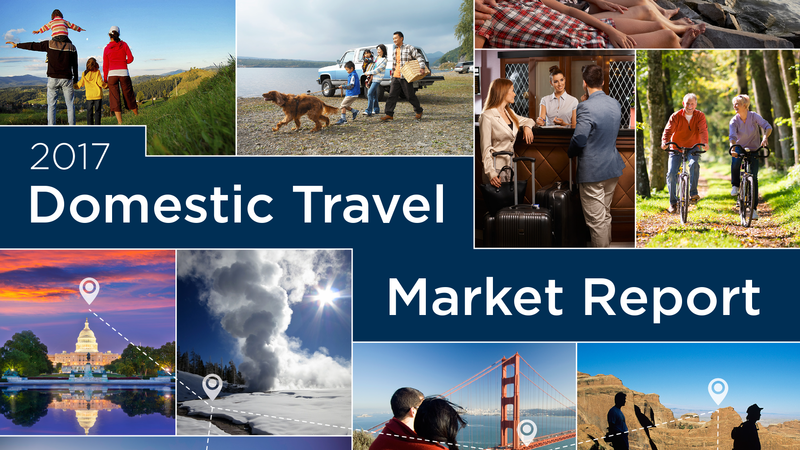 Since international arrivals to the U.S. fell by 2.1 percent in 2016, the 1.3 percent growth in domestic travel ensured the travel industry continued to grow. 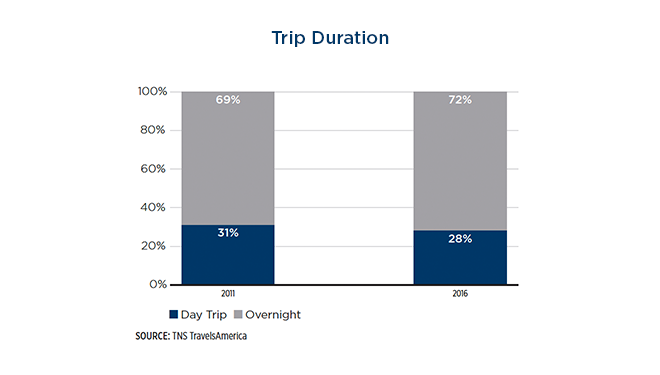 Uncover more insights on domestic travelers’ primary trip purpose, accommodation preferences, changes in travel party composition and activities participated in in the latest Domestic Travel Market Report. 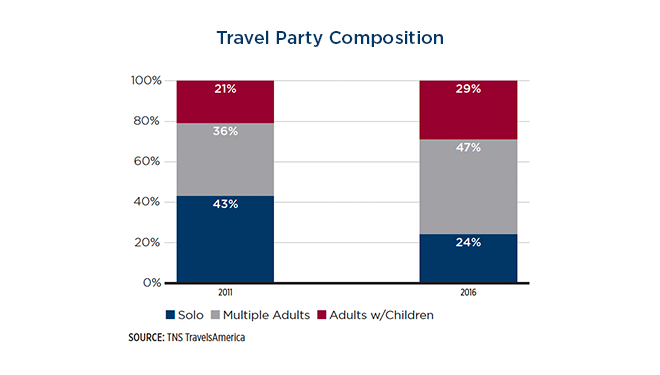 The 2017 edition also includes preferred travel planning and booking sources and breakdowns domestic travel characteristics by key demographics such as generation, ethnicity and race. Please email us to purchase.